Join us to mix and mingle, and learn more about research and how to take impactful action on plastic toxicity. Dr. Sherri A. Mason (aka “Sam”) earned her bachelor’s degree from the University of Texas at Austin. She completed her doctorate in chemistry at the University of Montana as a NASA Earth System Science scholar. 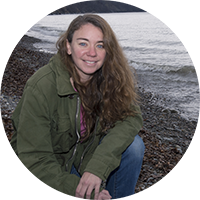 While a Professor of Chemistry at SUNY Fredonia, her research group was among the first to study the prevalence and impact of plastic pollution within freshwater ecosystems. Sam has been featured within hundreds of mass media articles including the BBC, The Guardian, the New York Times, the Huffington Post, and National Public Radio’s All Things Considered and Studio A1. Her work formed the basis for the Microbeads-Free Water Act, which was signed into law by President Obama in December 2015. Similar legislation has been approved or is being considered at various locations internationally. Among her accolades Dr. Mason has been awarded: EPA Environmental Champion in 2016; Excellence in Environmental Research by the Earth Month Network in 2017; Heinz Award in Public Policy in 2018. She has recently moved into a new role as Sustainability Coordinator at Penn State Behrend. Dr. Jennifer Adibi earned her bachelor's degree from Brown University. She completed her master's degree in public health from the Mailman School of Public Health at Columbia University. Jennifer then went on to earn her doctorate degree from the Harvard T.H. Chan School of Public Health. An epidemiologist who has also trained in developmental biology, the goal of Dr. Adibi's her research is to understand how plastics in pregnancy, and other types of commonly encountered environmental exposures, have lasting effects on children’s health. .